- MIUI is available in 56 languages across 220 countries with more than 280 million users. - MIUI 9 Global is as fast as Stock Android. - 3 major notification styles are supported viz. Multiple Styles, Bundling Notifications & Quick Replies. - We bring Split Screen in MIUI 9 which is better than stock Android. - Icon Animations each time you close an application. - Smart Photo Editing tool removes unwanted objects from photos. - App Vault unifies functions & information of various applications. It supports 12 kinds of services. - New Mi Video App now supports all popular formats, auto grouping function & much more. - Newly designed Mi Drop with functions like resume interrupted transfers & now it supports all Android devices. - IRCTC Card now recognizes a generally cluttered SMS PNR and turns it into a card with all information on it. - Indian Calendar app comes with subscription cards like Indian festivals cards, panchang calendar and much more. - Stickers feature in the inbuilt editor with 12 sticker sets & 4 exclusively sets for India. - Tiny - New & exclusive theme for India. - Krack WAP2 security vulnerability fix on MIUI 9 Global. - Partnership with multiple apps to give you the best possible experience. 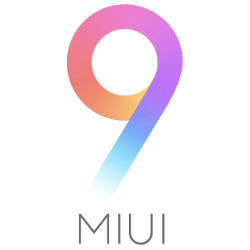 - MIUI 9 Global support for almost all devices launched in the last 5 years. - MIUI 9 Global Stable ROM rolling out starting from 3rd November.